The Internet of Things (IoT) refers to a network of devices (Things) that collect and share data. In practice, this is made possible by extending the network connectivity of traditionally "dumb" or non-internet-enabled physical devices and everyday objects. These devices communicate and interact with each other over the Internet where they can be remotely monitored and controlled. 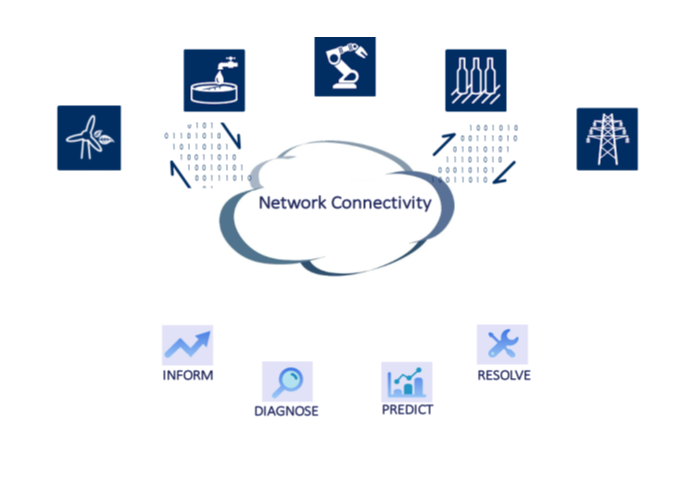 The term Industrial Internet of Things (IIoT) is the industrial subset of IoT, the so-called Industry 4.0. DIAGNOSE - why did it happen? PREDICT - could there be consequences? RESOLVE - what is the remedy? The eWON Flexy devices push Historical Data and Alarms through a VPN tunnel to the HMS Talk2M “DataMailbox”. XLReporter’s DataMailbox connector periodically collects all the new data to storage. The transfer uses secure HTTPS with no public IP exposure. 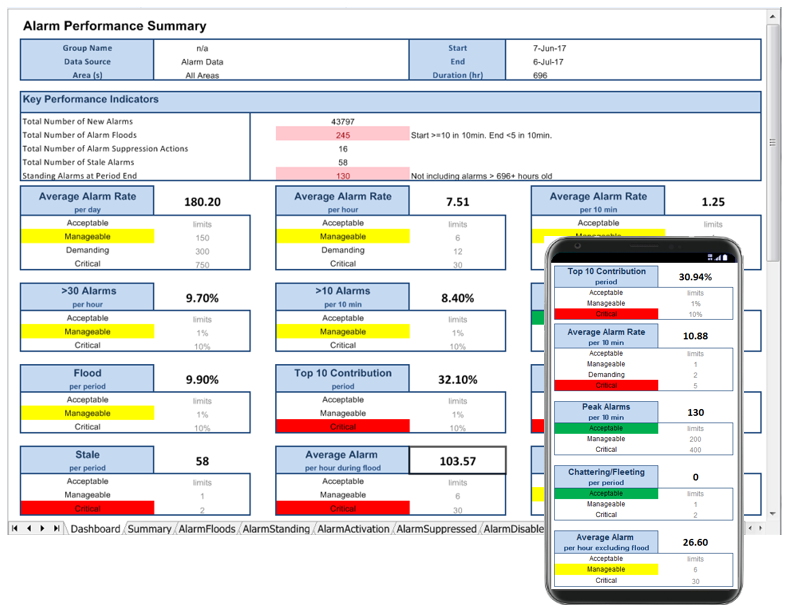 Create reports from “out-of-box” templates or design your own in either the XLReporter design studio or Microsoft Excel. 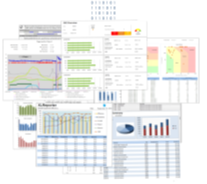 Produce report automatically using XLReporter’s built-in scheduler or from on-demand dashboards. Publish reports as Excel workbooks, encrypted PDF, web pages, CSV files and XML files and distribute them automatically to email, SMS, FTP server, local/network printer and file server. 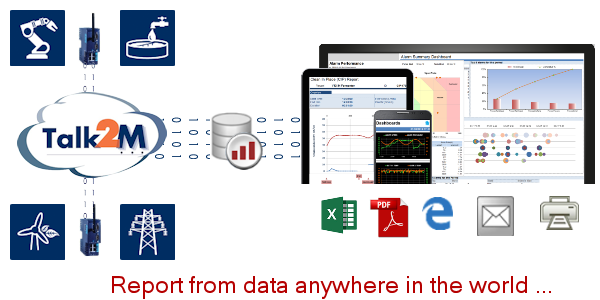 Produce reports automatically or on-demand from the Ewon Flexy DataMailbox storage. 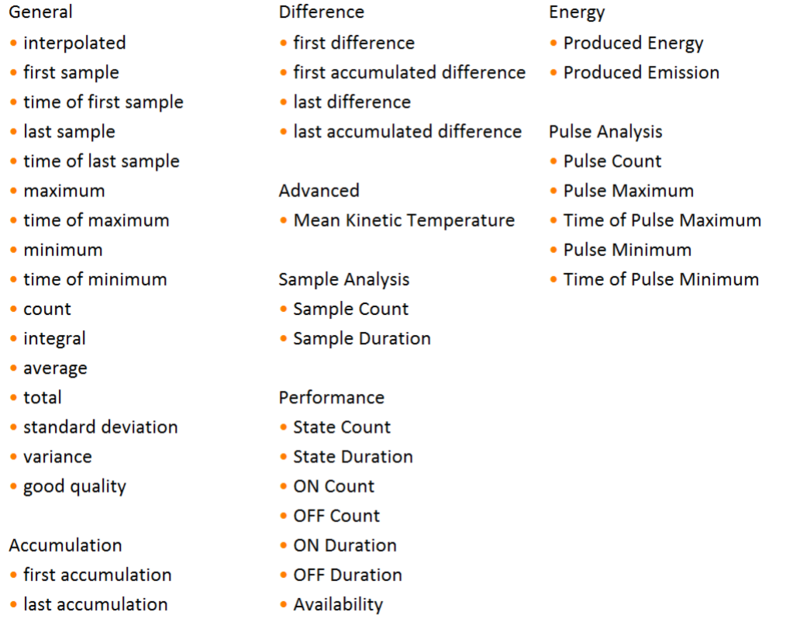 Retrieve sample values and "out-of-box" metrics on performance, statistics and runtimes that have been filtered and scaled according to your requirement. Managing alarm performance is one step towards improving your process.